This critically acclaimed sequel from developer FuturLab will potentially push your coordination skills to the limit. If you’re not someone who’s quite as adept in doing more than two things at once, then don’t worry too much about it. For this gem of a game will gradually ease you into its flow like a gateway drug into the X Games. At first glance, Velocity 2X doesn’t look too dissimilar to the multitude of vertically-scrolling shooters currently on the market. If anything, the game isn’t really much of an arcade shooter at all. Well, not in the conventional sense at least. Think of it more as a stack of obstacle courses tailored for speed running. One that requires you to blast keys in numerical order while shooting and collecting everything you see in sight to earn your wings. The scoring system required for each stage audits you in accordance to your time, collected gems, rescued survivors and how many enemies you send to the grave. Every target reached has a medal waiting for you on completion that tallies together towards a much bigger, shinier crest to validate your worth. Your spaceship moves and fires like a standard arcade shooter as it takes its lead from a camera that slowly crawls its way towards the finish line. This reclined pace gives the player a good chance to become familiar with the control system, as well as scoping out a path for a more efficient run-through. The ship itself can teleport into cavities and alternate routes by activating an on-screen cursor with a finger grip of the ZL Button. This allows you to aim your desired position with the same stick that you generally use to navigate your ship with. Along with the ship’s navigational properties, you will be manning two separate weapon types. There’s the standard vertical blaster found in most arcade shooters, along with a multi-directional bomb cannon to hit targets in four directions using the Right Stick. Where things start to become tricky is in how you must then coordinate your tools together while slamming into the accelerator at full throttle. Shifting your teleportation cursor toward the correct location while hitting the numbered targets in sequence at top speeds makes for a multitasking conundrum of devilish proportions. The act of finger gymnastics is pushed even further when it comes to collecting and shooting everything in sight. Or, more importantly, flying into an airlock and finally getting out of the ship itself. What separates this sequel from its predecessor and the PlayStation Vita remake that followed soon after it, is how the formula now flips into a side-on corridor gunner with a free-running edge. Your tools somewhat reflect those of your ship by giving you access to teleportation skills as well as a cannon that, in this case, is used primarily with the Right Stick to allow for a 360-degree firing range. Diving in and out between your ship and on foot extends the demand for coordination even further. While speed is the ultimate hook here, everything can still be performed at a leisurely pace to build both the player’s confidence and timing. It may sound complicated on paper (or a website), but the skill barrier needed to take advantage of the game’s mechanics will soon become familiar even to the average player. There are 50 campaign stages to work through that only ever really provide a moderate challenge in order to carry on pressing forwards. However, the true magic of the game’s addictive underbelly is learning a stage layout and hitting the track like a time trial speed run. Those who are never happy with anything less than three stars on something like Angry Birds, for example, will likely find an OCD tick waiting for you here. If the 50 stages do feel too intimidating to max out, there’s always the smaller, extra challenges for you to concentrate on. These come in a collective form of time trials, daily challenge or even the mind-boggling double ship mode that you must pilot in unison. At the end of the day, there’s plenty to delve into if you are willing enough to improve. Velocity 2X fits just as nicely on the Nintendo Switch as it did on the PlayStation Vita, making it a great game to blast through in short bursts. The stages themselves become more puzzle orientated the further you progress, with a maze-like complexity to freshen up the change of pace. While I did enjoy the longer, more topsy-turvy sections introduced later in the game, I did find that these moments can disrupt the manic flow that some of the more simpler, shorter layouts have to offer. The main reason for this is down to an acquired teleportation beacon that you manually drop when the screen flashes blue. It works as a long distance back-tracking device that lets you step back in pursuit of separate routes. The idea is to tread towards the goal, then warp back to the located drop point to reach any missed numbered sequence keys that would be impossible to hit otherwise. Despite the effort made in spreading some sort of variety within the gameplay, I still couldn’t help but feel that the experience can get a bit too samey. I think it may be more down to the underwhelming flash-like visuals with an in-game art style that just doesn’t seem to change its aesthetic all too much between sections. The music to accompany the visuals can be decent enough to listen to at first, and during faster paced moments. Unfortunately, after a while, the sci-fi synth’s churning in the background did eventually began to grate on me with a haunting dullness. Of course, this complaint is more down to personal preference as opposed to bad development. So, don’t let these minor criticisms deter you too much from the bigger picture. 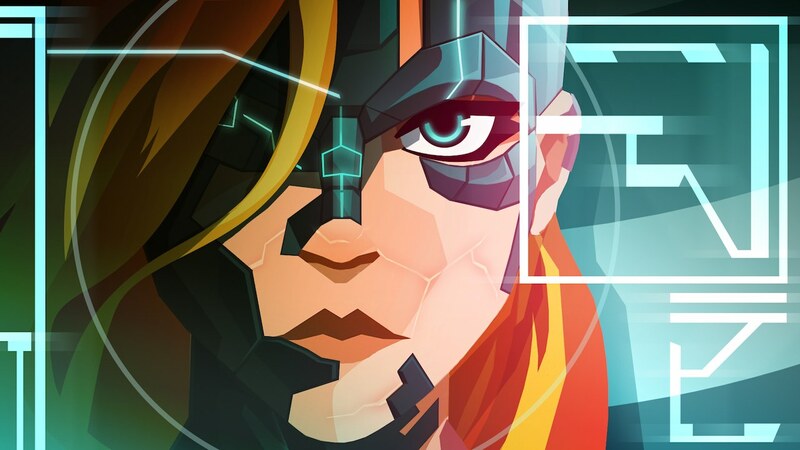 Velocity 2X may be four-years-old at this point, but that doesn’t mean that the gameplay has passed its sell-by date. There’s a certain addictive quality to this ultra-fast reaction-based puzzle blaster that can risk making you feel useless at first until something in your brain finally clicks into beast mode. During the time that I spent with the game my fingers slipped, my brain momentarily lapsed, I swore a lot and blamed my age. However, once I did finally submit to the cockpit’s demands, it didn’t take long until I felt like a Jedi on a joyride.